There something very tricky about autumn sun dangers. Most people relate UV dangers to air temperature, they assume if it’s a hot day and sunny, the UV must be very high, and on the other side, if it’s a cloudy cool day, then the UV must be low. Autumn days are usually cooler, or more cloudy, and we naturally feel more confident to be more hours outside or even in direct sunlight, as the heat is bearable. This is were the sun UV dangers take place, as the UV level is not related to temperature or to clouds or humidity. The sun UV light which reaches earth can be divided into two different types of UV. The shorter UV rays are called UVB, they have a shorter wavelength they are “tanning rays” and are felt during the summer when the earth is closer to the sun. At winter when the earth tilt is further away from the sun the UVB radiation level gets weaker and reflects no danger. But at autumn there are still UVB rays which may not be felt as intense as during summer, but if a person is outdoor for hours the skin still gets large quantities of UV. The greater danger during autumn from UV is from the longer rays called UVA, these have longer wavelength which is close to the visible light we get from the sun. This means that when there is “sun light” you can assume there is UVA light too. Since UVA has longer wavelength, it can penetrate clouds, clothes and reflect from shinny objects. UVA is what causing color fading from clothes, plastic and furniture. If you wear a T shirt in mid summer, you may see the tan lines at the sleeves where the UVB reached the skin. UVB can not penetrate clothes, so the tanning is where the clothes end and exposed skin is seen. But UVA can penetrate any cotton T shirt.. and though there will be no visible evidence, the UVA penetrates deeper to lower skin layers and causes malicious side effects. The first step, is knowing about it, and by reaching this paragraph you already know, cooler days or cloudy days are not safer than other days, the UVA is all around us, and protection is required. Children need more observation than adults because they have a thinner skin, and they tend to be more hours outdoors. Apply UVA protective sunscreen. Note that regular SPF creams do not protect from UVA but only from UVB. They are anti-tanning creams… So you need the ones which have “broad spectrum” label, or specifically say UVA & UVB, otherwise you are not protected from UVA. Wear UV protective clothes. It is no secret that the best way to avoid UV is by wearing clothes carrying a high UPF rating. UPF is Ultraviolet Protection Factor. The rating goes from 10-50, when “50+” is the highest level allowed by regulation. When you buy a shirt and pants which have 50+ UPF rating, it means they are blocking/filtering 99% of the incoming UV, both UVA and UVB. Since autumn days can be slightly cooler than steamy summer days, it is recommended to get long sleeve UPF shirts and long pants. The first way is buying UPF clothes to wear under your regular clothes. You can find lots of protective T shirts and thin tops, which you can wear under your work clothes. This is a good solution for people who wear uniform and still want to be 99% protected from UV. 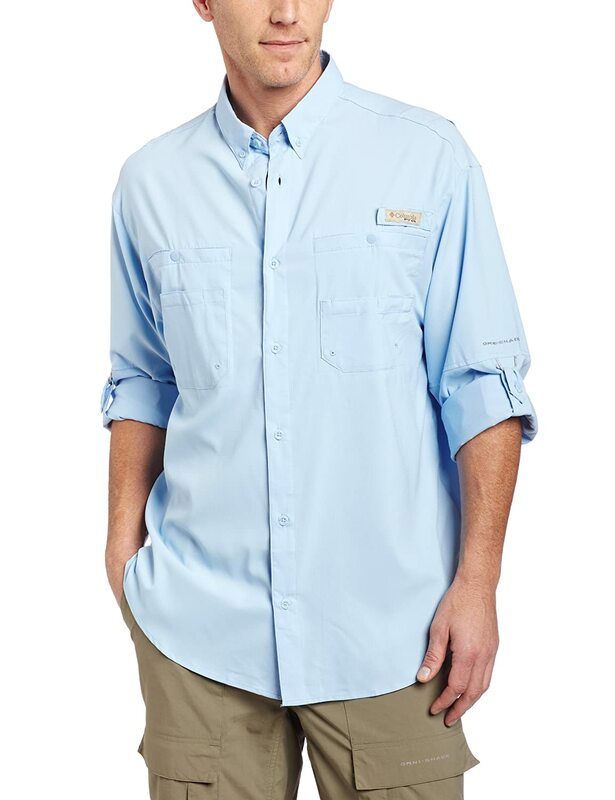 Here is a pair of UPF 50+ long sleeve shirts, which are very popular and cover exposed skin on cooler days. The other option is to wear UPF stylish shirts which now are available by dozens of brands in any design, just like any other non blocking shirt. There are fashionable collections for men and for women, in any color, style and look. Click here and order casual UV protective shirts for men. No matter which design you prefer, just make sure you buy UPF 30-50 and not the lower ratings. 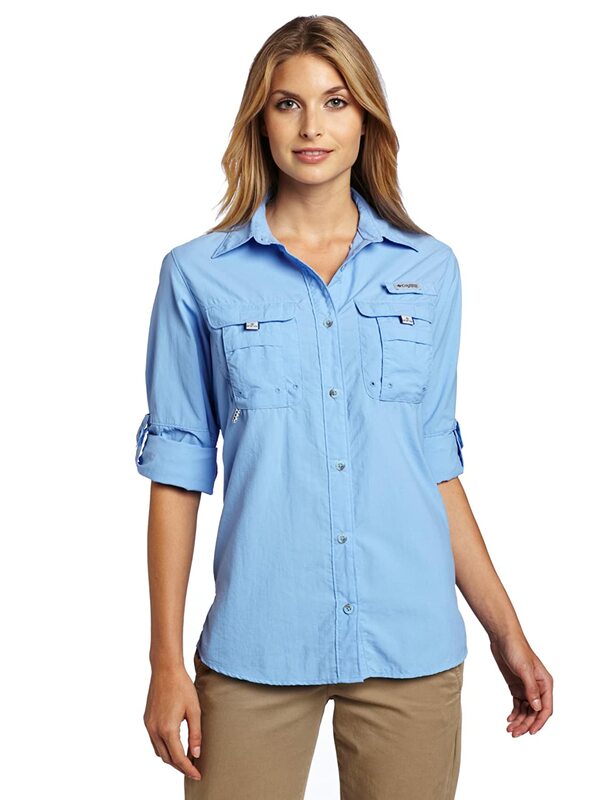 Women can find many designs of long sleeve and short sleeve casual shirts, in nearly any color and style. From T shirts and sports wear to more fancy perky kind of shirts. Click here and find fine UV blocking shirts with 40 UPF rating providing high level of protection. One must make sure while browsing that the shirts are UPF rated.No use to buy a nice shirt if it can’t block 99% of the UV which in a few years will show as advanced aging, wrinkles and sun spots. Women have a third option and it is to add a UPF wrap as an accessory above any other wardrobe she has. The wraps are blocking the UV radiation from the skin and the personal touch of clothes underneath is not altered. Sorry guys, wraps don’t look too masculine on men..
Click here and check over 16 different colors of UV blocking wraps! Autumn season is cooler, the sun glare may be weaker, but the UVA is at a steady level just like June. So make sure you are not exposed to high doses, and protect your skin from UVA exposure. This entry was posted in Sports UV Protection, UPF Clothing, UV Protection For Children, UV Skin Damage and tagged Autumn UV Danger, Skin Cancer Awareness During Winter, Sun's UVA Radiation During Winter, UV Protective Clothes At Winter, UV Radiation During Winter, UV seasonal changes by UPF Clothing Admin. Bookmark the permalink. ← Previous Previous post: Are Your Children Exposed To UV In Backyard Pool?